Every month you will receive a different service at your home or office. Each package will list the service provided for each month. Maintenance Packages offer a 20% discount over our regular prices! Below is a list of services provided. Hand apply polymer paint sealant wax which includes a UV filter that acts as a sunscreen to further protect your vehicle’s finish. Lasts 6-12 months. 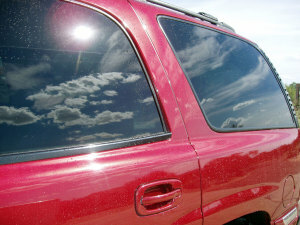 We now offer SunTek window films and Paintless Dent Repair! Call (520) 744-5635 for pricing and availability.